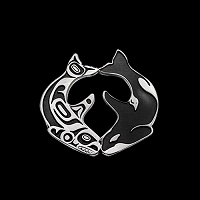 The Whale is honored and respected as an important crest figure in Northwest Native culture. He is seen as a protector of humankind and associated with insight and spiritual awareness. 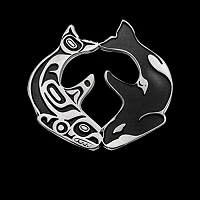 The Whale is given as a gift to those who bring harmony into one’s life. 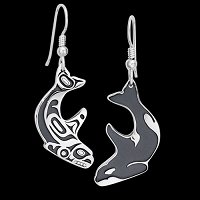 This design pairs a classic Tlingit formline killer whale with a representational Orca in a tribute to endangered Southern Resident killer whales. 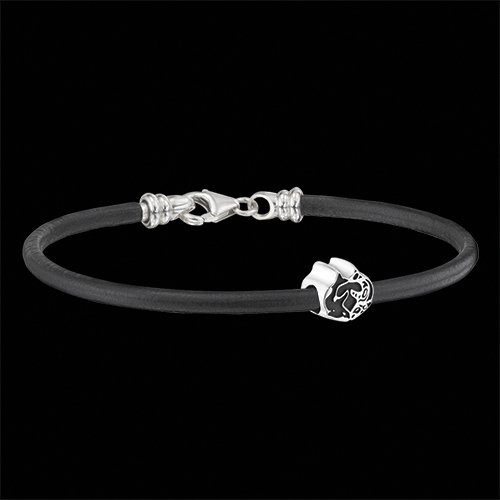 .38 inch Sterling Silver Southern Resident Tribute Bead by Odin Lonning with a 7.5 inch black leather cord bracelet. Made in USA. 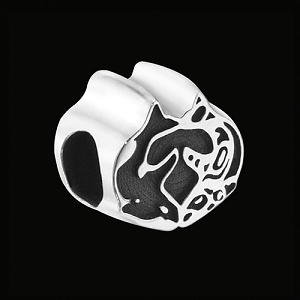 In Stock - Only 4 left!